Once you have made the decision to dissolve your marriage, itself a Herculean choice to make, your next step is to begin divorce proceedings. Divorce filing is not always as straightforward of a process as it may otherwise seem; where to file, how to file, what to prepare for filing, and when to notify your spouse are all factors that must be taken into account before any legal action can be taken. A divorce attorney in Jersey City with substantial experience with family can respond to all your concerns and questions, alleviating much of the anxiety that the journey of divorce can induce. As you work to select a divorce attorney in Jersey City to help you to navigate the stormy seas of divorce, keep these points in mind as you gather up the bravery to file. Once you and your attorney establish that you can file your divorce in the State of New Jersey, you will need to select the proper county, also known as the venue, in which you can file. 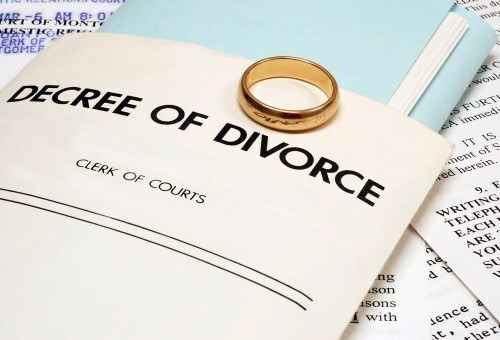 You do not have to travel to the county where you were married to file for divorce; you can file for divorce in the county where you are living on the day of your filing. If you move outside that county after filing, that county’s court will still handle your case. 2. …If You Meet a Few Conditions, That Is. Though location is flexible, there is a restriction on when you can file for divorce. Except in cases of adultery, New Jersey law requires you to have lived in the state for one year before filing a complaint for divorce. In order to file for divorce in the State of New Jersey, you must have been a resident of the state for at least one year prior to your divorce filing date, and you file based upon the county in which you lived on the day of your filing. 3. You May Move Anywhere You Want During Your Divorce. Once you file your complaint, you can move out of state and continue to litigate in New Jersey. You can also move out of the county where you filed, and the divorce will proceed in the county in which you resided. If you are planning to move from New Jersey to New York, Connecticut, or Pennsylvania, so long as you live in New Jersey on the date of your divorce filing, you are free to move outside of the state and New Jersey will continue to handle your divorce. 4. Serving Papers Does Not Have to Be Done in Person. Though it is recommended for divorce seekers to personally serve divorce papers, which may allow a divorce to remain amicable, there are many situations in which this is simply not an option. You are not required to serve divorce papers to your spouse. Instead, you may rely upon a process server and sheriff to go to your residence and serve your spouse with papers. Once that is done, your spouse will have 35 calendar days to answer the complaint. There are many divorces that can be filed and settled within a single day; in these cases, the two spouses have already amicably decided how to divide their assets, and the proceedings can commence and conclude without a hitch. The great majority of divorces, unfortunately, are far more complicated, with elements such as hostility, greed, and even domestic violence coming into play. Individuals who wish to proceed with their divorces nevertheless must remember that the law is on their side, and the initial stages of filing for divorce need not cause great distress. 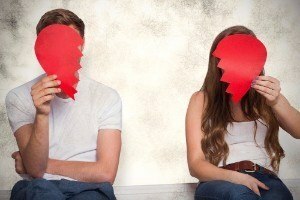 If you are still unsure how to begin the journey of divorce or have any questions on the matter, contact divorce attorney in Jersey City for guidance.